The Metrocrest Amateur Radio Society of Carrollton, Texas, has installed a new gateway on 147.580. 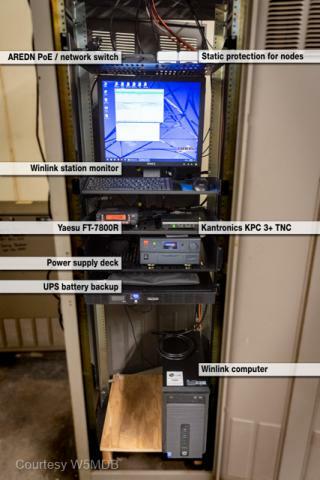 Funded partially from a grant from our friends at the Irving Amateur Radio Club, the station will serve northwest Dallas and southeast Denton counties in north Texas. The project also included installing 3 AREDN™ nodes at the same location. As with all amateur radio projects, some tweaks remain on the punch list, but we’ve enjoyed virtually trouble-free operation. Thanks go to all who served on the committee and their generous donations of time, advice and equipment. Director, Metrocrest Amateur Radio Society, Inc.